All appointed brokers have access to Secure Email. 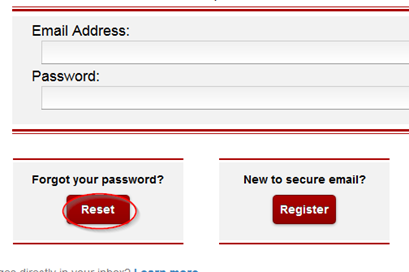 Below is a guide to help with logging in issues with our Secure email site. 1. This guide is for setting up or changing your password for OCi’s secure web app. When a secure email is received it looks like this in your inbox. You will want to click the ‘Open Message’ button. Or follow the alternative method described in the email. 2. 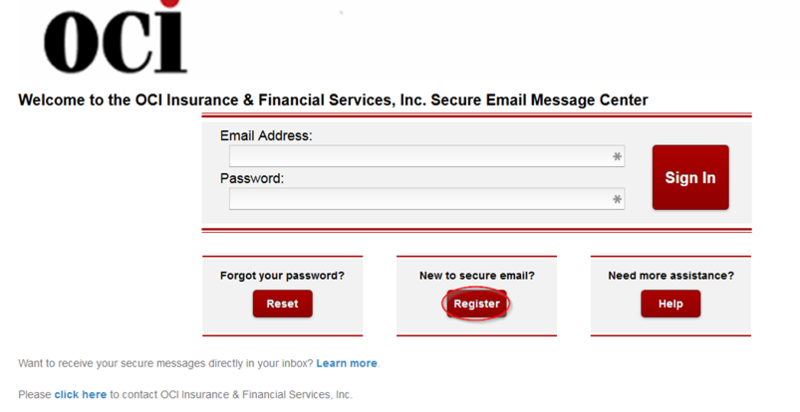 Once you click the button and you have never received a secure email from us. Click the ‘Register’ button to set up the account to open any secure email sent to the address you received the secure email message at. If you have done this move to step 6 if you’re looking for a reset. 3. 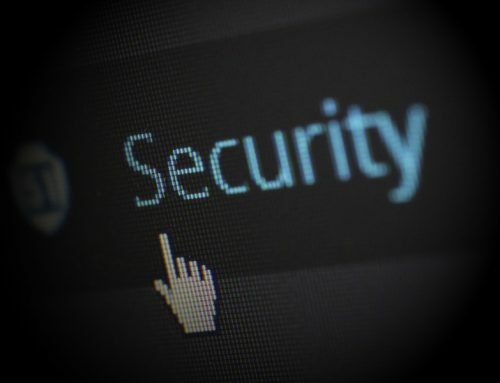 Enter the appropriate email from which you received the secure message email at and create a password, (Don’t forget to follow the Password Rules) then click ‘Register’. 4. After that return to your normal inbox (if it’s not there check your junk mail section or you may have accidently typed your email address incorrectly) and open the confirmation email for completing your account setup. Click the link below the ‘Activate’ sentence. 5. Now in your browser click the ‘Continue’ button and continue to the next page and login in with the credentials you just set up. And you’re done. 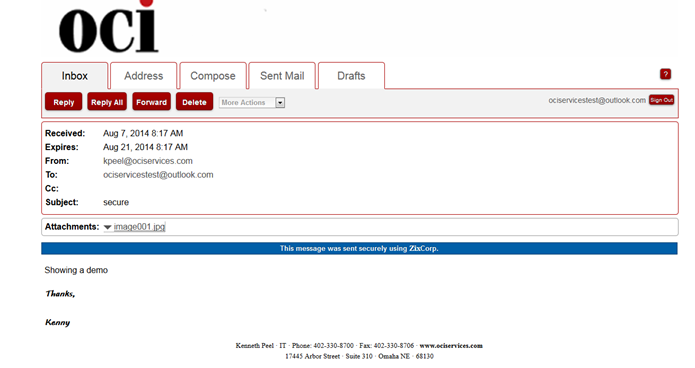 You can now open the secure email and also send one back to the sender secure if you like as well from here too!